The chills are here with the thrills…Winter is here! 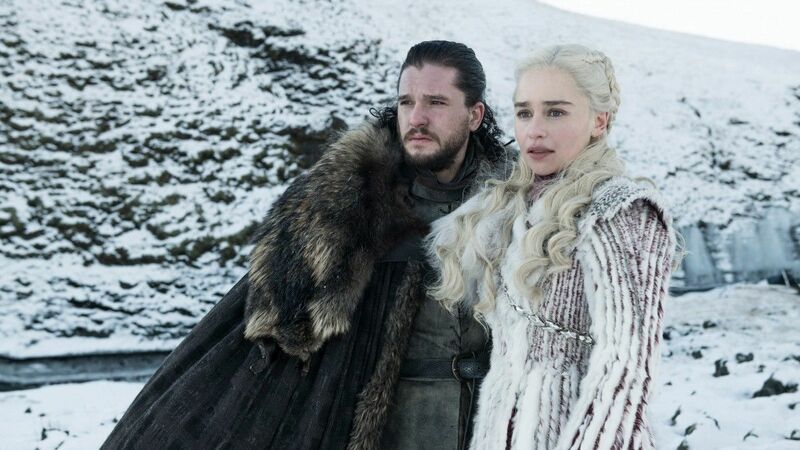 The first episode of Game of Thrones Season 8 premiered today and we’re floating on an emotional turmoil. From reunions and the ‘we meet again’ moments to heart-wrenching revelations, we saw it all! The gate of Winterfell welcome Jon Snow, Daenerys Targaryen and their larger-than-life fleet, where Sansa and Bran welcome the duo. 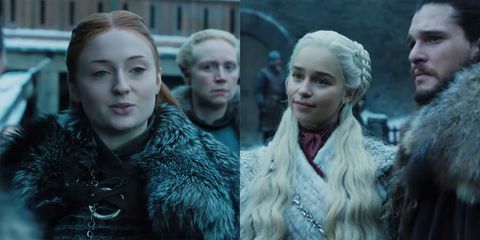 At the council meeting, Sansa asks Lord Umber about when his men will join their fleet, while Lady Mormont questions Jon about his loyalties and pledging fealty to another Queen while he was named King in the North. 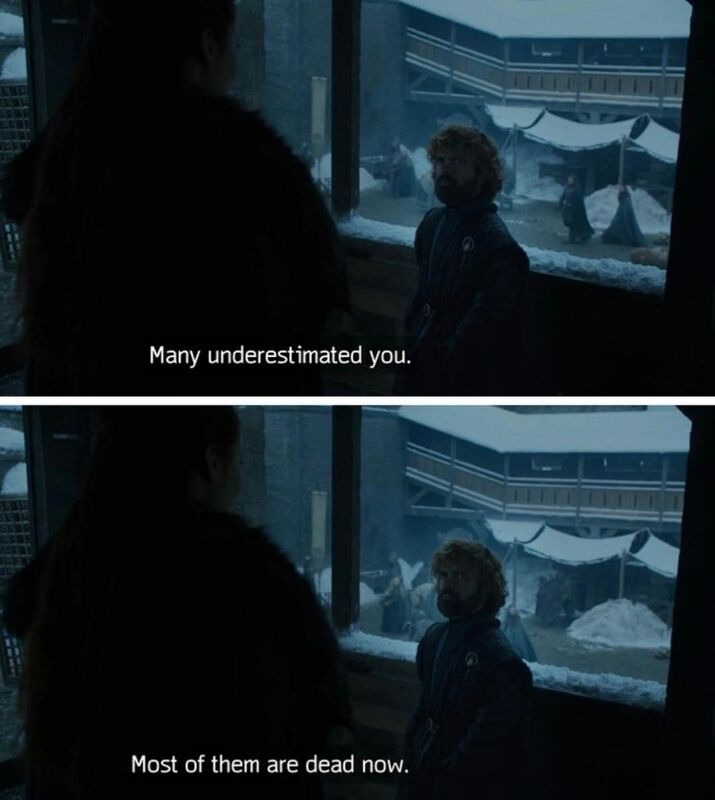 Tyrion comes to Jon’s rescue with a fitting reply, addressing the gravity of the situation involving the enemies beyond the Wall. Post the meeting, Sansa and Tyrion keep it curt when they address each other, their whereabouts and their activities. Well, that was intense, innit? In King’s Landing, Euron arrives with an army from the Gold Company with Yara, still in his captivity. Euron tries to seduce Cersei when she gives him this fitting reply, “ You want a whore, buy one. You want a Queen, earn her.” YAAASSSS, all the way! 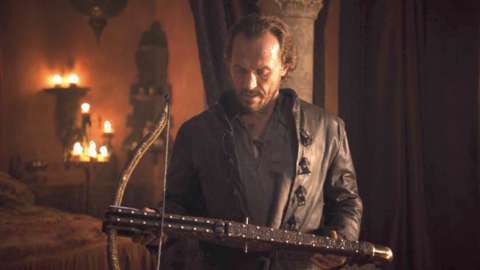 Qyburn finds Bronn in a brothel, addressing a matter of urgency. He notifies him of Jaime’s disappearance and assigns him the task of killing the Lannister brother’s with the very crossbow that Tyrion killed Tywin with, on the Queen’s command, and calls it ‘poetic justice’. How we love these little details! Around the same time, Theon rescues Yara. 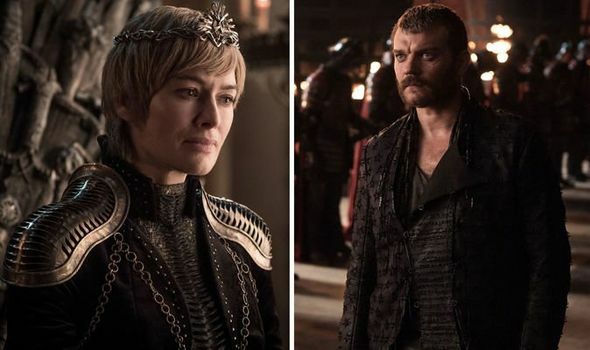 On their way home, they talk about Euron’s current interests and how they can win their claim on Iron Islands, when Yara permits Theon to go to Winterfell. Ser Davos, Tyrion and Varys talk about how the Northerners don’t trust easily and that you have to earn it. They also talk about Daenerys’ and Jon’s ever-increasing bond. On the flipside, Jon and Daenerys go for a ride on the dragons and talk about how Sansa doesn’t trust her yet. The Hound and Gendry talk about weapons when they reunite with Arya. Such meet-cutes, much wow! Sansa questions Jon about him bending the knee to Daenerys and inquires if it was for his people or because of his new-found feelings for the Mother of Dragons. 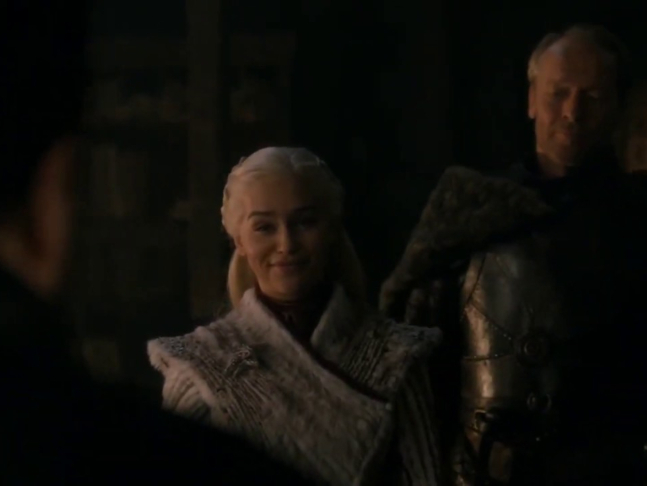 Jorah introduces Sam and Daenerys. She offers him a sure reward for treating Jorah. On learning about his identity and origin, she confesses that she killed his father and brother because they failed to meet her terms of negotiation. Not being able to handle it, Sam storms out. 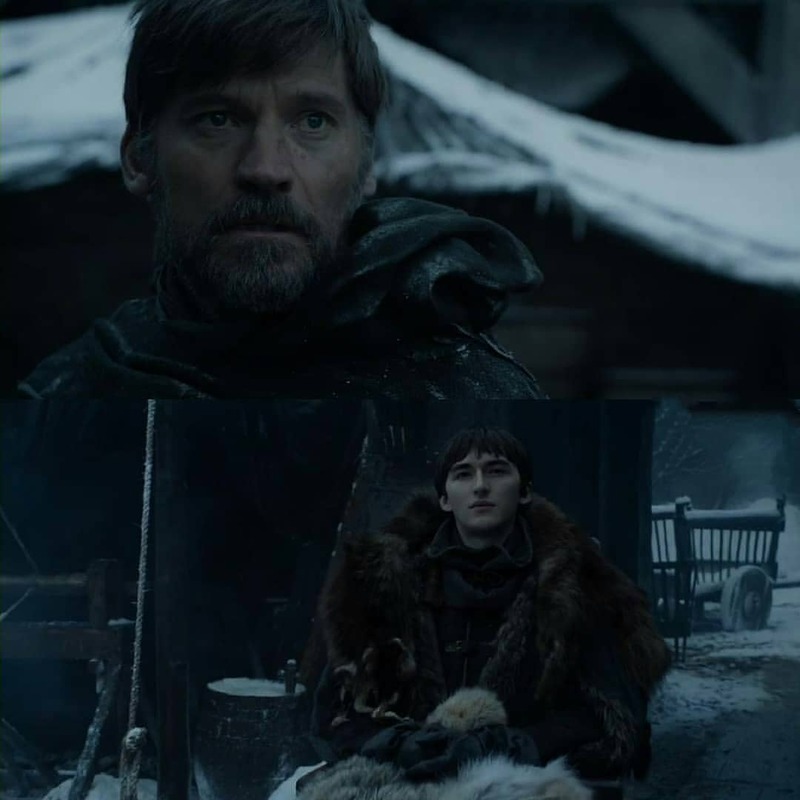 On his way out, he sees Bran, who tells him about how Jon has to know the truth about his identity. Sam then finds Jon in the Crypts. Sam tells Jon about the fate of his father and brother, who is equally stunned at learning the news. Sam also tells Jon about his true identity, that he is Aegon Targaryen, son of Rhaegor Targaryen and Lyanna Stark, how Ned was never his father and that he is the true heir to throne. The question is, would Daenerys leave her claim to the throne when she learns about this? 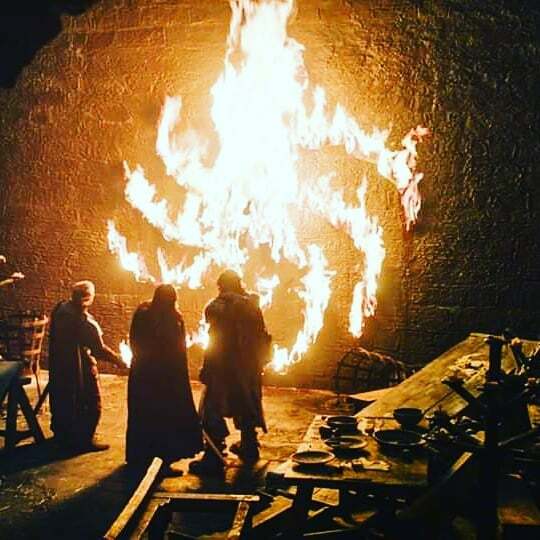 In Last Hearth, the Umber House, Tormund, Beric and Eddison get suspicious about a breach, when they find Lord Umber pinned to a wall, against the ancient spiral sign. The encrypted message meant that the Wall has been breached and the army of the dead is coming for them. We couldn’t have asked for a better episode! We are lost in thought and a storm of emotions…what are your views? Game of Predictions v/s Reality. Here are some scenarios that we speculated for the second episode of GoT8 which turned out otherwise! Booking sites crash after Avengers: Endgame tickets are made available online; Yes, hype in India is for real! 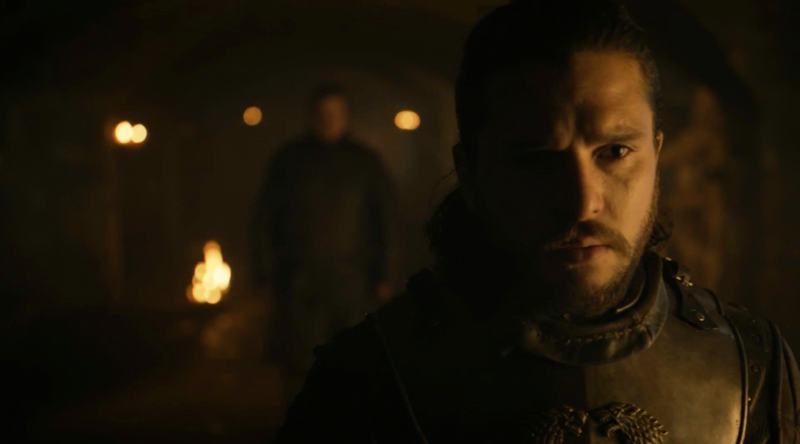 Game of Thrones Season 8 Episode 3 Preiview: 'The dead are already here' and the war begins! Pictures of a sari-clad Meghan Markle resurface and fans cannot keep calm!